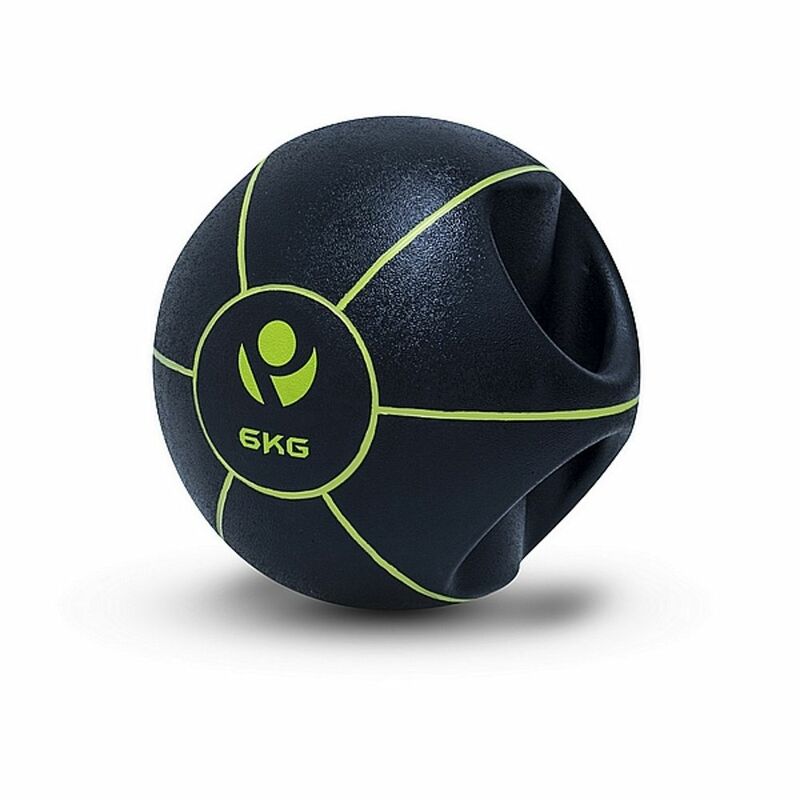 Adding some variety to strength and mat work, the double grip medicine ball is a great choice. 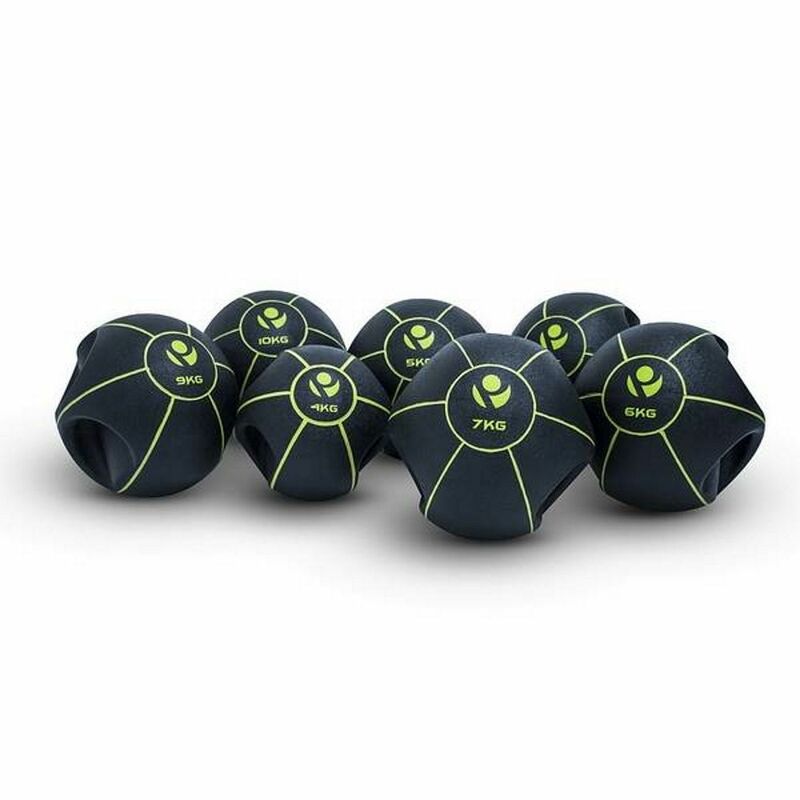 These medicine balls can be used by people of all ages and abilities for a range of exercises including squats, lunges, presses, twists and more. 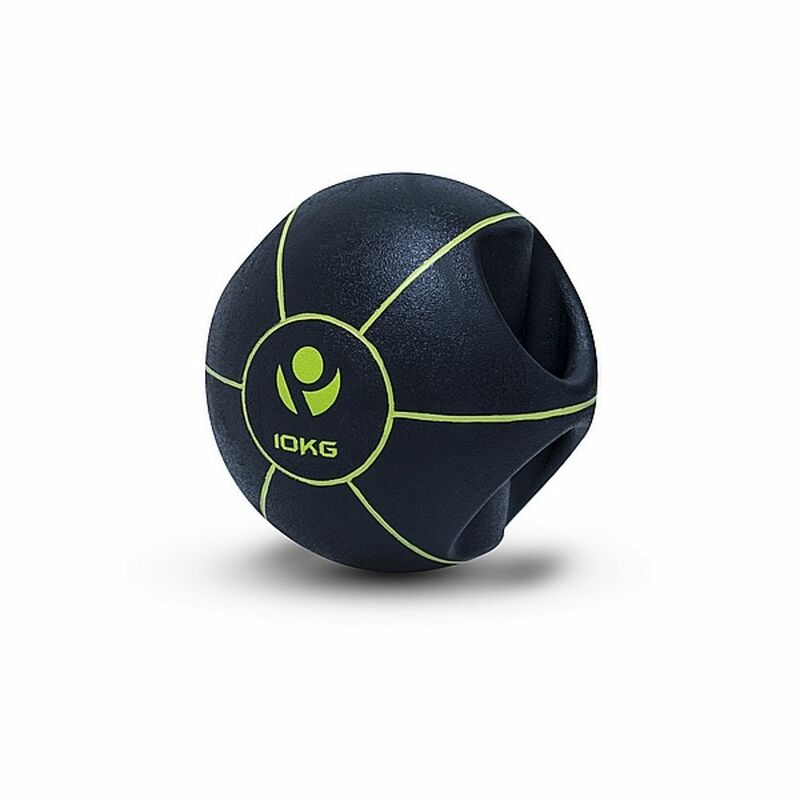 You can perform similar workouts to those performed with kettlebells and it provides more options than normal medicine balls without handles. 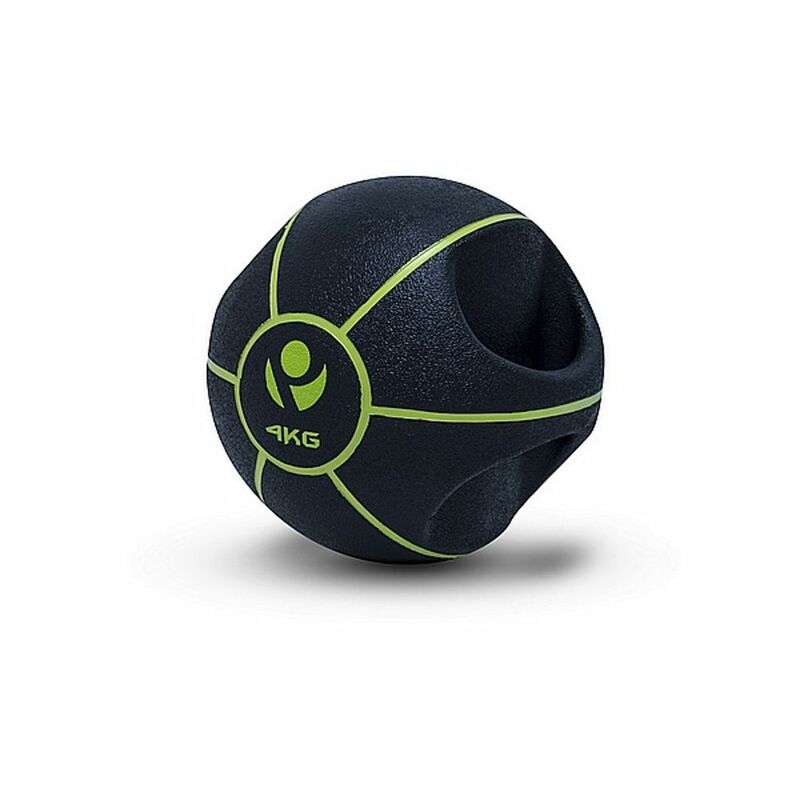 Great for abdominal work and general core conditioning, the soft-textured grip makes it comfortable and easy to hold even with sweaty hands. This range is from 4kg - 10kg and are great for home or club use and come with a 2 year warranty against manufacturing defects. Please note you must not slam these balls. 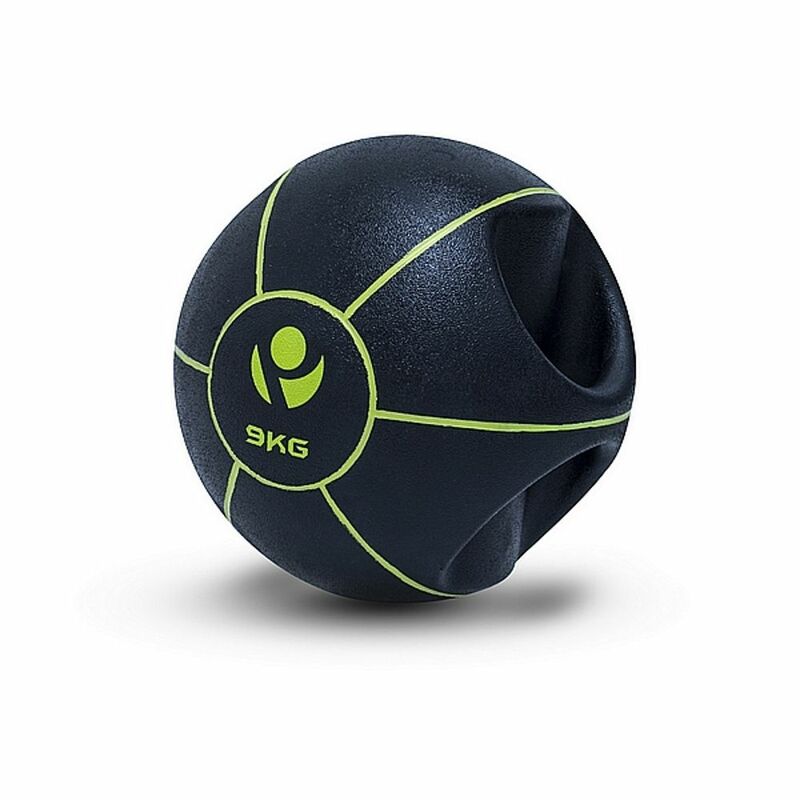 If you like to use medicine balls, then these double grip med balls provide even more scope for new exercises. Versatile, tactile and easy to grip, they can be used single hand or with both, to rotate or to lift and of course for squats or leg work. 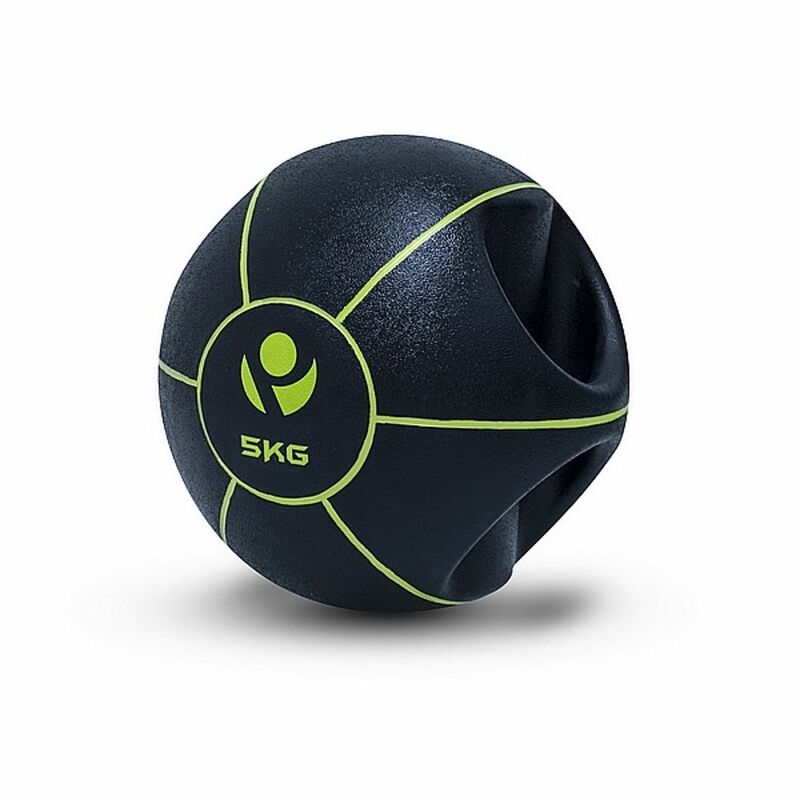 Please note : Double Grip Medicine Balls are not for slamming.